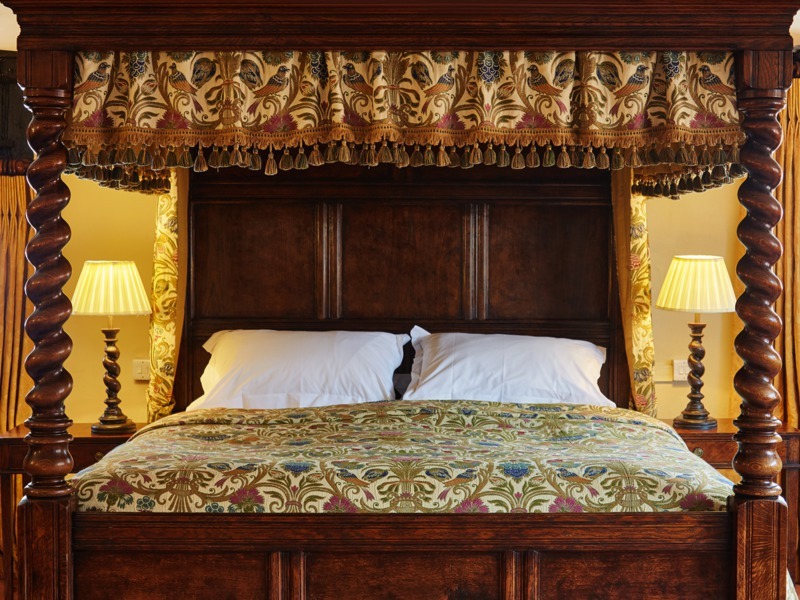 The Queen's Suite has a stunning carved four-poster bed, sitting room and a luxurious bathroom. 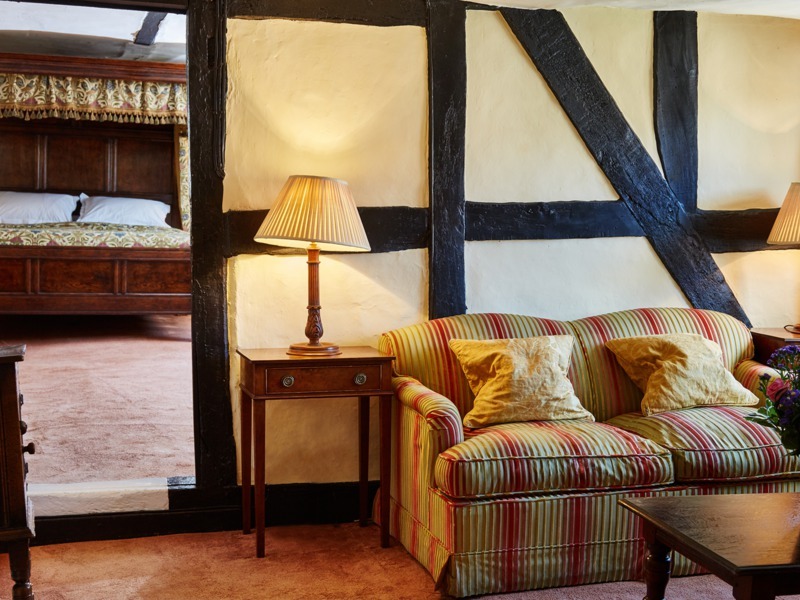 It can be connected to the adjoining Edward VII lounge creating an impressive and spacious living space. 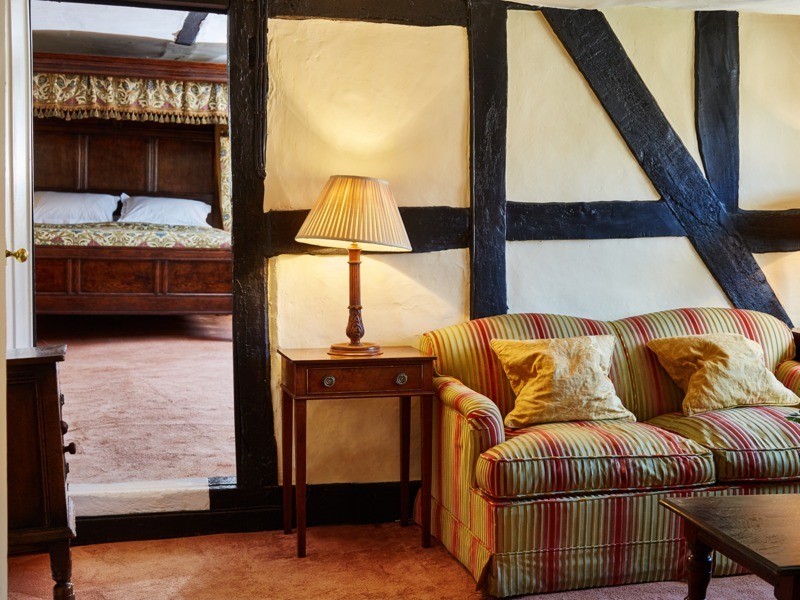 The Queen's Suite is the ultimate room for a celebratory or romantic getaway and is also ever popular with families looking to spend time together. 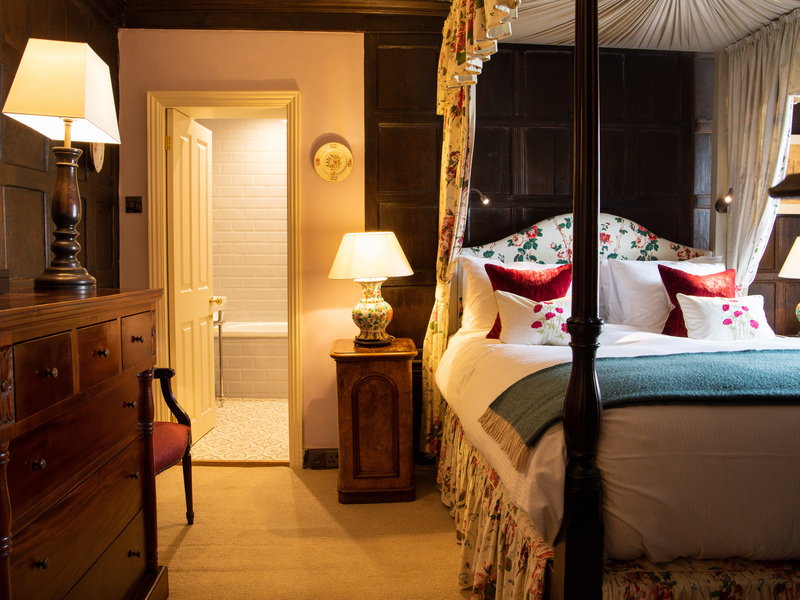 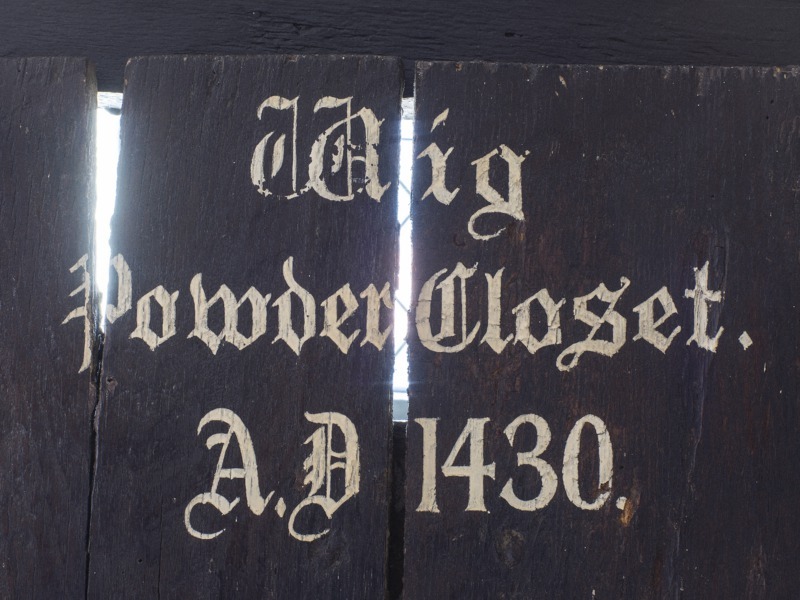 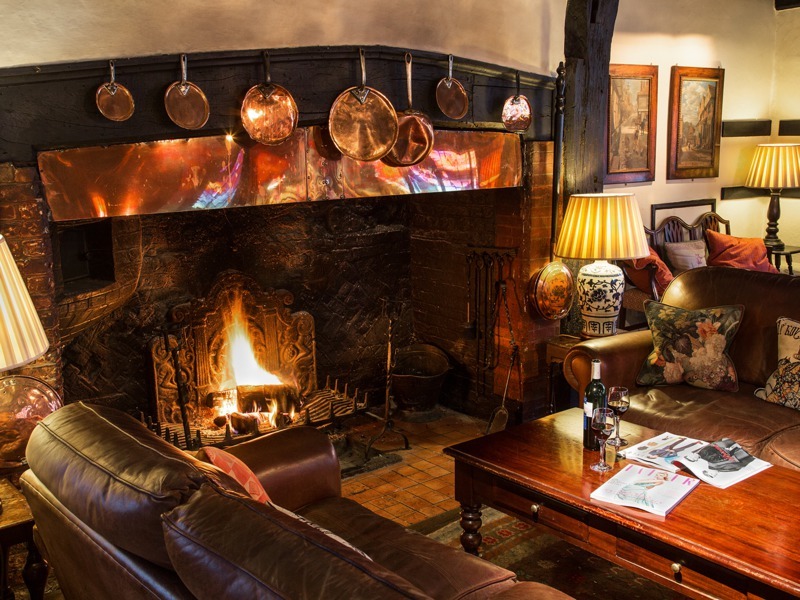 The Queen Suite is in the oldest part of the house, dating back to 1430. 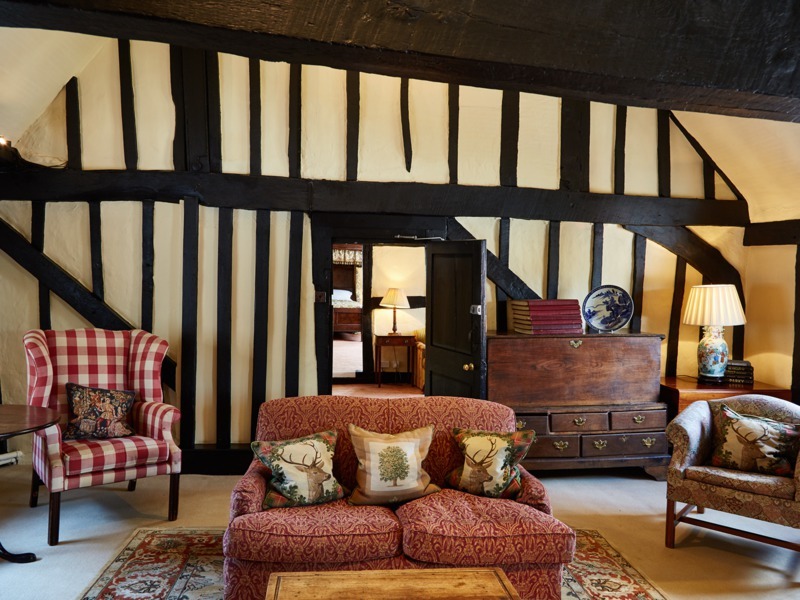 Having reputedly been graced by Queen Elizabeth I it is fit for a Queen with every modern luxury. 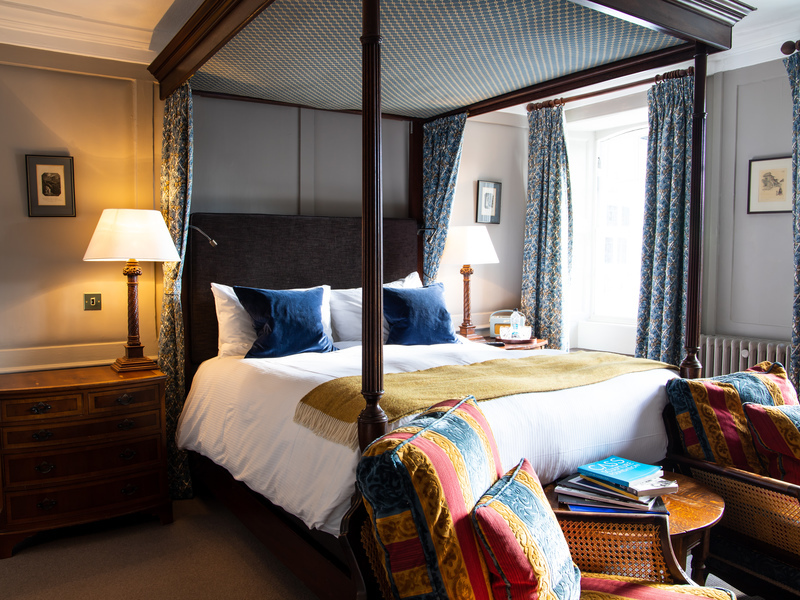 Our stunning feature four-poster rooms overlook the front of the hotel with beautiful sash windows with seats. 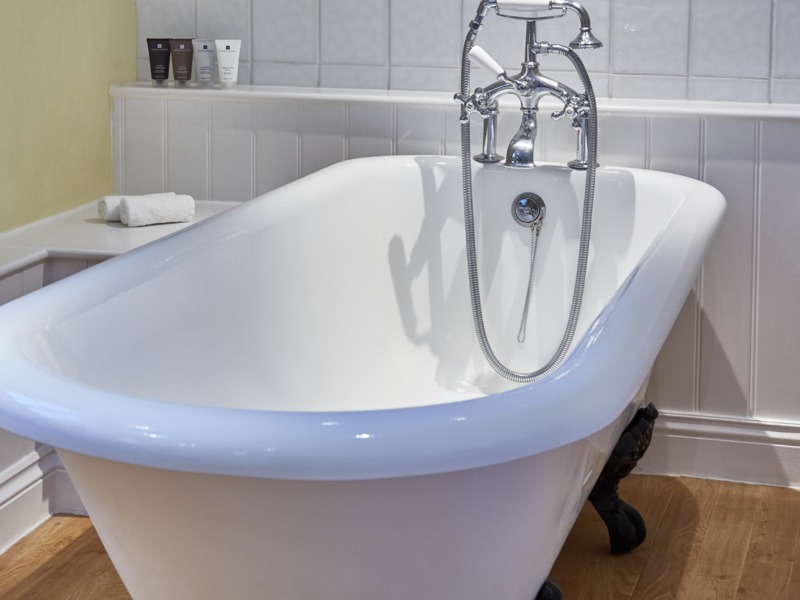 Bright and spacious, they are perfect for a romantic week-end or for a moment of tranquillity . 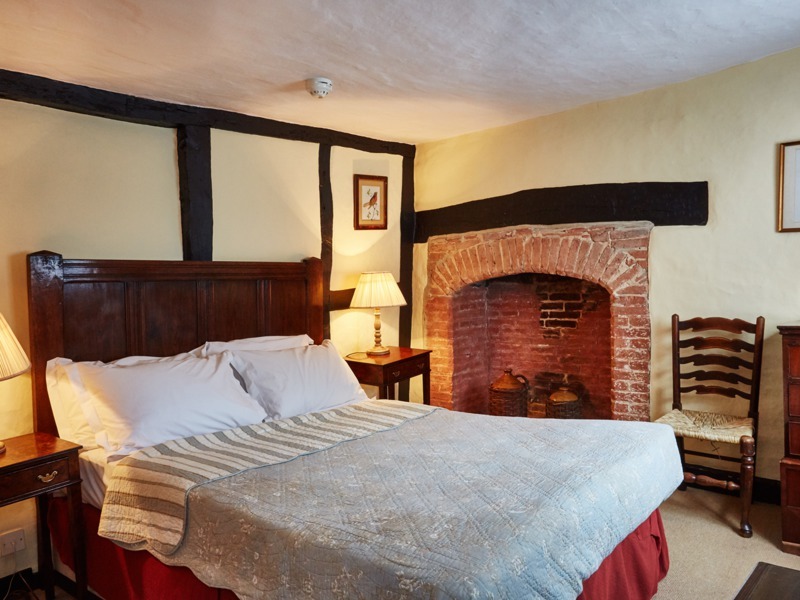 Located in the oldest part of the hotel and incorporating many of the historic features of the original property, our Sussex Junior Suites have separate sitting rooms. 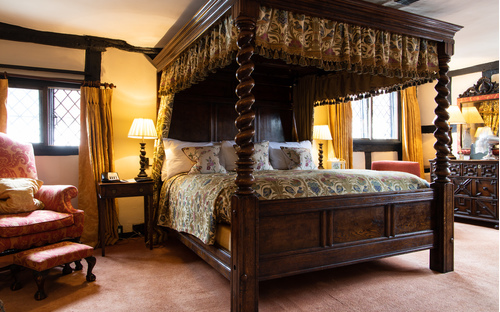 Our Sussex Four Poster rooms, all on the first floor have over-sized four-poster beds are full of character.